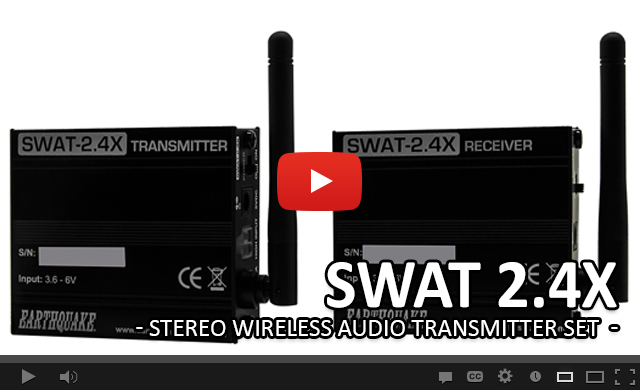 SWAT 2.4X is a wireless audio transceiver that allows you to play audio material from your audio source player to any speaker wirelessly. Hard wiring your speakers to your sound source is costly and time consuming. SWAT 2.4X makes install a snap and does not compromise sound quality for convenience. It is extremely versatile and perfect for apartments or outdoor settings. It even has microphone capability so you can transmit voice as well. 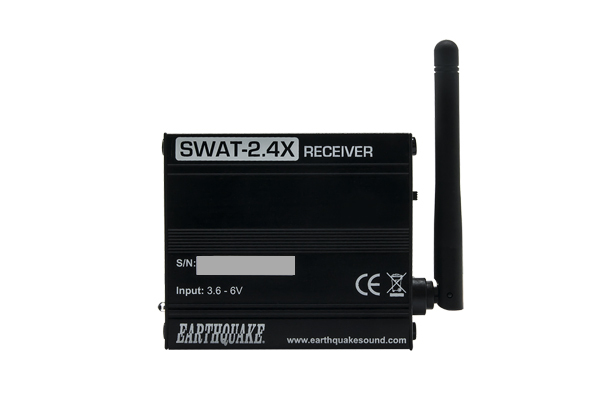 SWAT 2.4X consists of a Transmitter (a unit that connects to the source) and a Receiver (a unit that connects to the amplifier or powered speaker). 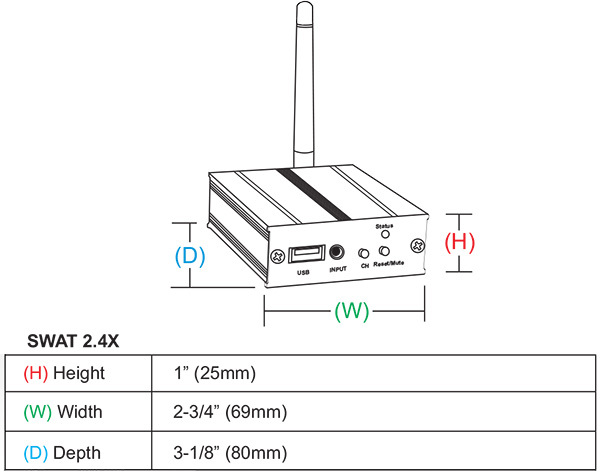 The SWAT 2.4X Transmitter connects to a stereo, MP3 player, computer, or any other device that can play audio through a 3.5mm stereo jack or RCA output. Alternately it can also be connected directly to the speaker outputs via its High level input supporting 0.5V to 17V RMS. The Receiver is then connected to an amplifier or a powered speaker through an RCA input. Multiple Receivers can connect wirelessly to one Transmitter if you want the music to play in different areas or on multiple systems. Extra Receivers can be purchased separately. Once the Transmitter and Receiver are paired, the Receiver will receive signals from the Transmitter automatically. If there is any interference on the current channel, all you have to do is change to the channel of the Transmitter; the Receiver can sense the frequency change and will adjust automatically. It has 20 available channels, more channels than any other wireless transceiver has to date. There is also a one in 20 million chance that the pairing channel will interfere with a different signal. Both the Transmitter and the Receiver must be connected to a power source of which there are two options. One is the DC power supply which connects to any wall outlet, and the other is USB.